LIVA Protégé-Hunt for India’s Best Fashion Designers ! I attended a fabulous fashion event for the LIVA Protégé – Grand Finale held at the St.Regis Hotel, earlier last December. recognize & reward the rising stars of the Indian fashion industry! LIVA has reached out to the budding fashion designers as they believe that they are the future of fashion industry. It is an excellent platform for them to showcase their talent at a national level and get mentored by some of the biggest names in the industry. The finale event was a fun-filled evening with generous doses of glitz, glam and of course fabulous fashion, that brought together some of the country’s finest ensemble of personalities from the Indian fashion fraternity, under one roof. Liva is a high quality fabric by Aditya Birla Group. It is made of 100% natural cellulose fibres, which gives better flow, fall and drape to garments. LIVA was launched as the new age fabric on 27th March, 2015 by Grasim Industries. It started as a vision of the Aditya Birla Group that foresaw the limitations of cotton and polyester, and identified the need for a suitable alternative, natural, man-made fibre that would eventually take the textile world by storm. The participants were put through rigorous rounds of selection. Campus Round: Principals nominated the work of 4 best students from their respective colleges for the contest. Entries were uploaded on the LIVA Protégé microsite. Jury Selection: There were 6 zones across the country – Mumbai, Ahmedabad, Delhi, Kolkata, Bengaluru & Chennai. The top 5 students in each zone were selected by an esteemed panel of judges. the Top 2 finalists from each zone. These finalists had to prepare 5 outfits from LIVA fabric for the finale, under the guidance of their respective mentors. 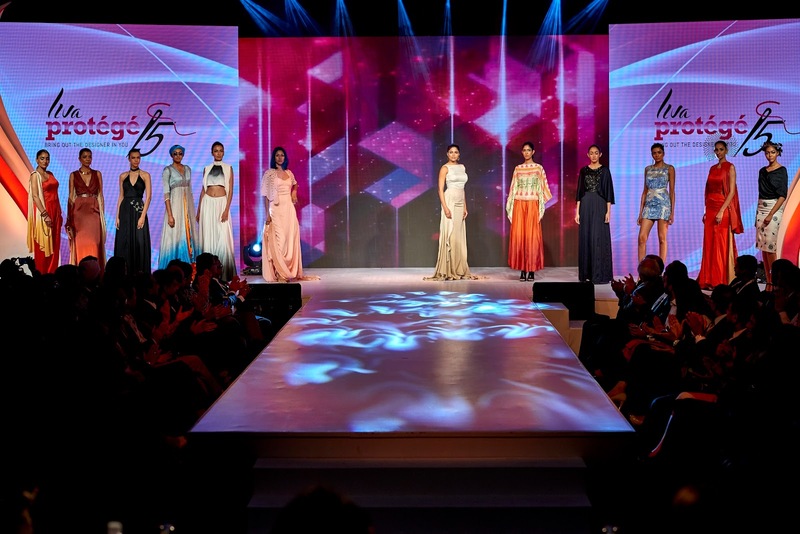 The LIVA Protégé Finale was a scintillating affair with a showcase of such exceptional talent in the field of fashion designing by the young students. There were 12 Finalists from 6 cities (Mumbai, Bengaluru, Ahmadabad, Kolkata, Chennai & Delhi) showcasing 5 outfits themed around evening wear each designed by them using the LIVA Fabric with 60 models walking the ramp. I was totally amazed by the some of the truly inspirational designs and collections of these young students. It was attend by prominent figures of India’s fashion industry – including eminent designers, Bollywood personalities, magazine editors and fashion bloggers. Here are some of favorite designs from the LIVA Protégé runway. The line up of the judges was also rather impressive with Actress Soha Ali Khan, Celebrity Fashion Designer Narendra Kumar, Editor Cosmopolitan Nandini Bhalla, Fashion photographer Prasad Naik and Aditya Birla’s Daughter Ananya Birla. I absolutely enjoyed being part of this prestigious LIVA Protégé event and walked away totally impressed by the innovative designs and immense upcoming talent of these young fashion students. I think this is such a powerful platform for young talent to shine and contribute to the dynamic Indian fashion industry.